You're a strong, capable dad and you deserve a strong, capable diaper bag to match both your personality and your parenting skills. With this camo diaper bag, you'll be ready for everything from code brown blowouts to professional level hide-and-seek. The D.O.D.D. 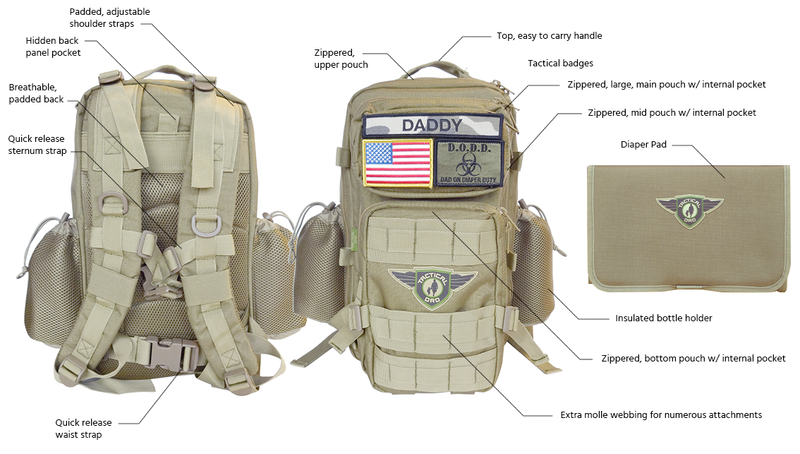 XH pack has all the bells and whistles, including double insulated bottle holders and patches over a MultiCam pattern. Constructed with heavy-duty 600 Denier polyester, it'll take more than a blowout to overcome this pack.